The diagram below is merely a guide. When choosing strap length the sizes are listed with the tongue side length first, followed by the buckle side length. 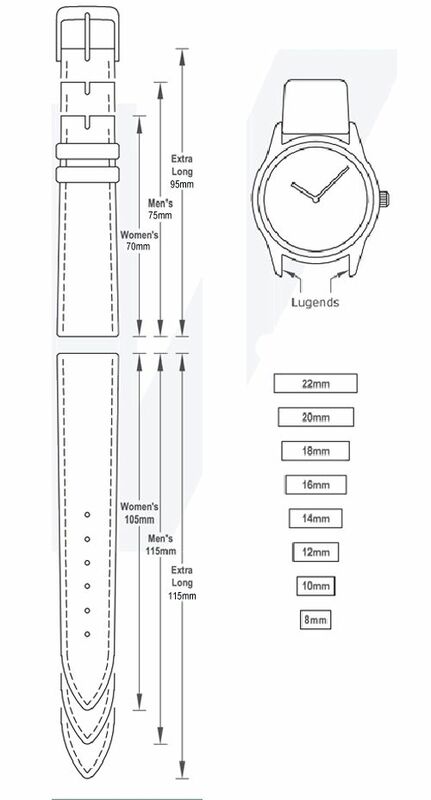 For example, the extra long strap in the diagram would be listed as 115/95 mm. My sizing differs from the diagram below. For your benefit, a general wrist size range is listed along with each band size.